In what might be the ultimate disappearing act, it appears The Vanishing Women TV show on Investigation Discovery (ID) is ending after its first and only season. ID has announced the that the season one finale episode is the final installment of the docu-series. The Vanishing Women TV series finale airs on ID, Monday, August 29, 2016, at 10:00pm ET/PT. Bud Lytle, Aurora Richards, Caitlin Turner, Tracey Allyn, Shelly Hehr, Alexandra L. Johnson, Rosemary Kuhn, Sharah, Parker, Michael Preston, Mike Throne, and Keith Washburn star. Get the details from this ID press release. (Silver Spring, Md.) – Investigation Discovery (ID) will premiere the sixth and final installment of the network’s record-breaking series, THE VANISHING WOMEN on Monday, August 29 at 10/9c. The one-hour finale features new, case-breaking developments in the investigation of six missing and deceased women from small-town Chillicothe, Ohio. The final episode, which was delayed in taping in an effort to cover real-time breaks in the case, showcases the tireless efforts of law enforcement as they track new leads and incoming tips and also covers the criminal trial of Jason McCrary, a local man who was found guilty in a July trial of murdering 38-year-old Timberly Claytor. 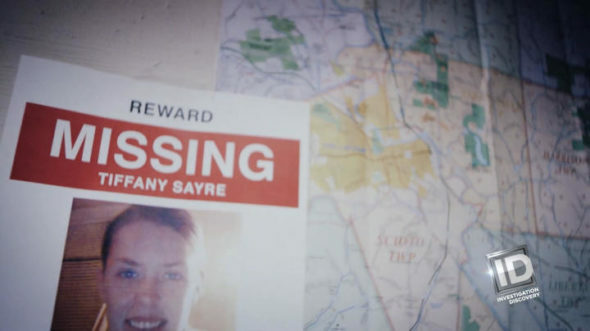 In the conclusion of THE VANISHING WOMEN, serial killer fears are reignited as The Missing Women’s Task Force chases down a terrifying new lead in a small West Virginia town. Meanwhile, the community of Chillicothe anxiously awaits answers as Jason McCrary stands trial in mid-July of 2016 for the killing of Claytor. The prosecution’s key witness claims to have seen the murder – but when McCrary takes the stand in his own defense, he claims his innocence and offers a shocking alternate version of that night’s events. It’s up to the jury to determine who is telling the truth. THE VANISHING WOMEN documents the past and present work of an active criminal investigation into six open cases of missing women in Chillicothe, Ohio. According to the Chillicothe Police Department, the series has generated dozens of new tips from all across the country since its premiere. With similarities between each of the women and having run in the same circles, some members of the local community fear a serial killer is on the loose. Information on each of the women can be found here, and anyone with information is asked to call the task force hotline at 740-774-FIND (3463) or findme@RossSheriff.com. For more in-depth information about The Vanishing Women, please visit TheVanishingWomen.com. What do you think? Did you watch the first season of The Vanishing Women TV series on ID? Do you think it should have been cancelled or renewed for season two? More about: Investigation Discovery TV shows: canceled or renewed?, The Vanishing Women, The Vanishing Women: canceled or renewed? I would love for the series to come back with more info about what’s going on there. So many people just disappear and everyone forgets about them. I want to know the real story behind these women! I absolutely love this show! I wish there was more to watch. For the show to be canceled it just shows that this was an inside job, law enforcement was involved, they wont even help solve the crimes. I love this show and i wished it would come back, my heart goes out to all the families involved, im a recovering herion addict so it really touched home for me. God bless who was hurt by these sick people in the world, In the end days their true judgement wil be done. I think it was a great show and absolutely shouldn’t have been cancelled! I want to know what’s going on with these cases. I’ve been waiting around forever on the second season to start and decided to look it up… Since they’re still using clips from the show in ID channel commercials … And this is in August of 2017! Don’t use the clips if you’re going to cancel the show. No-one ever got caught , it’s STILL unsolved !!!! Such a shame for these families , but the forgotten women is about it after also comes on July 22nd at 9 pm on spike t.v. Its a huge pity Season 2 has been cancelled. Would love to find out who the actual killer is. Extremely disappointed! Please do not end series until you find the Killer, these woman count. Are you discriminating due to they are not rich or the perfect person…. please finish it. They count!!!! I would like to see the whole six shows again the first season. Please re show them. I also think there should be a second season with updates on the. I’m totally bummed. I was waiting for the second season, and could’nt figure out why it still was’nt on. I googled and found this article. I really enjoyed it. Too bad it was cancelled. I truly enjoyed it. I was looking forward to this series and bought the companion magazine at the bookstore. But, it was confusing and disjointed and had very little cohesion. It wasn’t clear who disappeared when, and lacked any real storytelling. I’m not surprised it was cancelled. I was looking forward to another season. I haven’t been this interested in a program in years. I faithfully watched every episode and was looking forward to seeing the progress made on solving these murders.